Good afternoon everyone! I hope you are all having a wonderful day! Today I have another lovely duo to share with you guys. 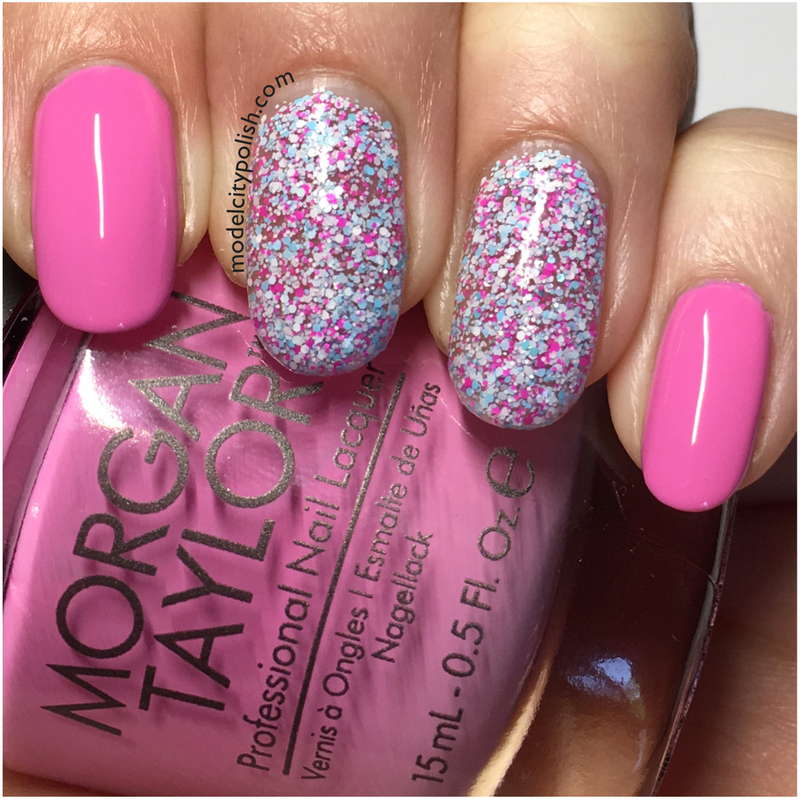 This time around I decided to pull out one of my much loved Morgan Taylor and then paired with a fun glitter bomb from Polish ‘M. 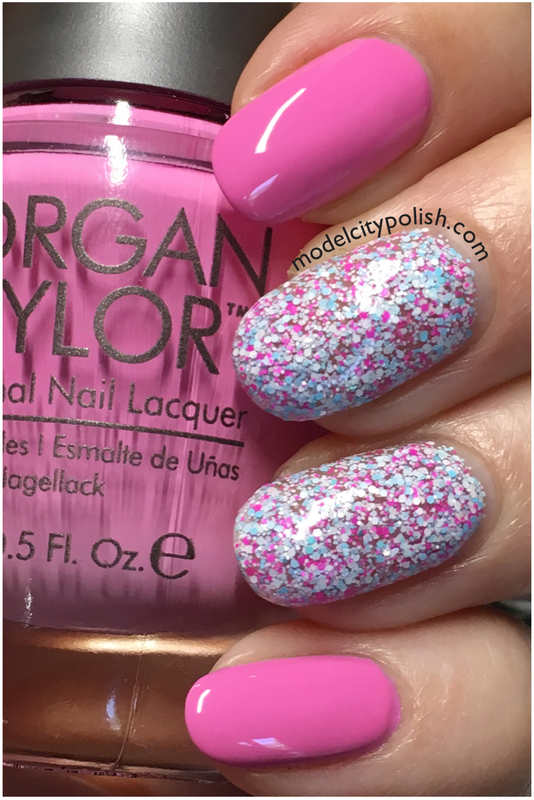 For my Two for Tuesday look I started with three coats of Lip Service by Morgan Taylor and then used four coats of Class Act by Polish ‘M for my accent nails. These two paired beautifully and are just perfect for the warmer weather. 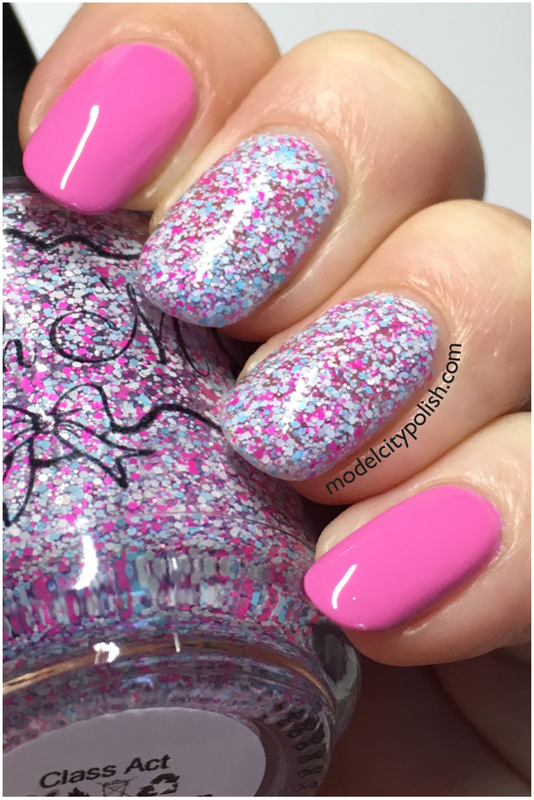 Everything is sealed with two coats of Liquid Macro Top Coat by SuperChic Lacquer. I absolutely adore this pairing. Gorgeous! It is amazing!!!! I love it so much!!! Great combo, as usual! 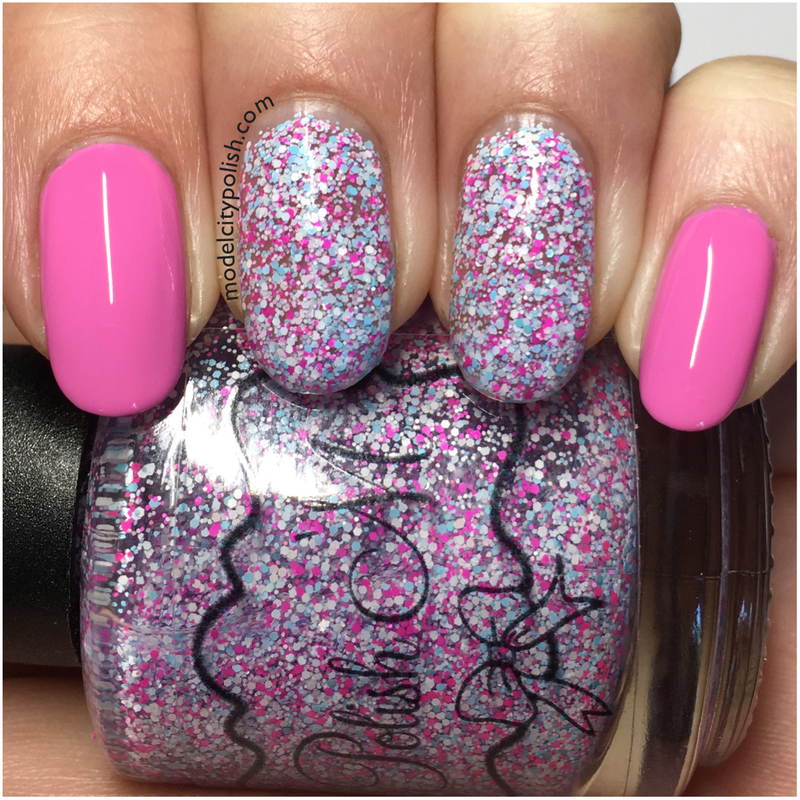 That glitter polish is so fun. 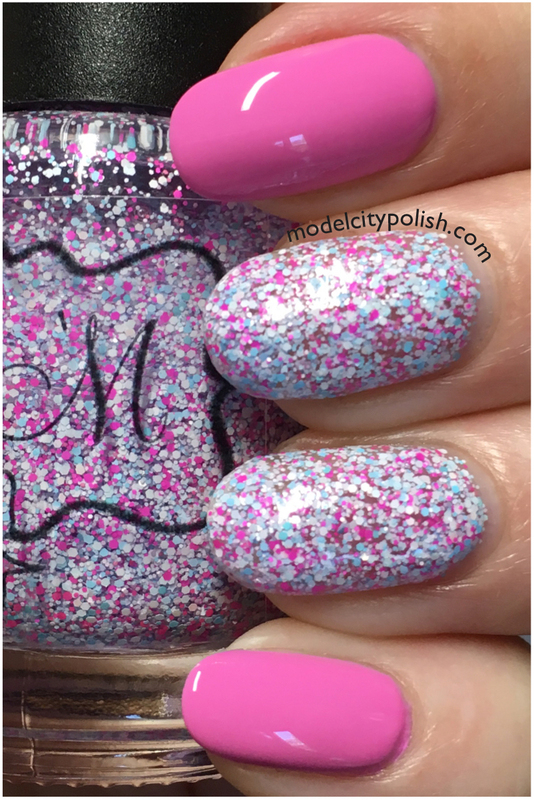 I love how the polish M has accents of the pink in the creme! That looks great layered opaque. 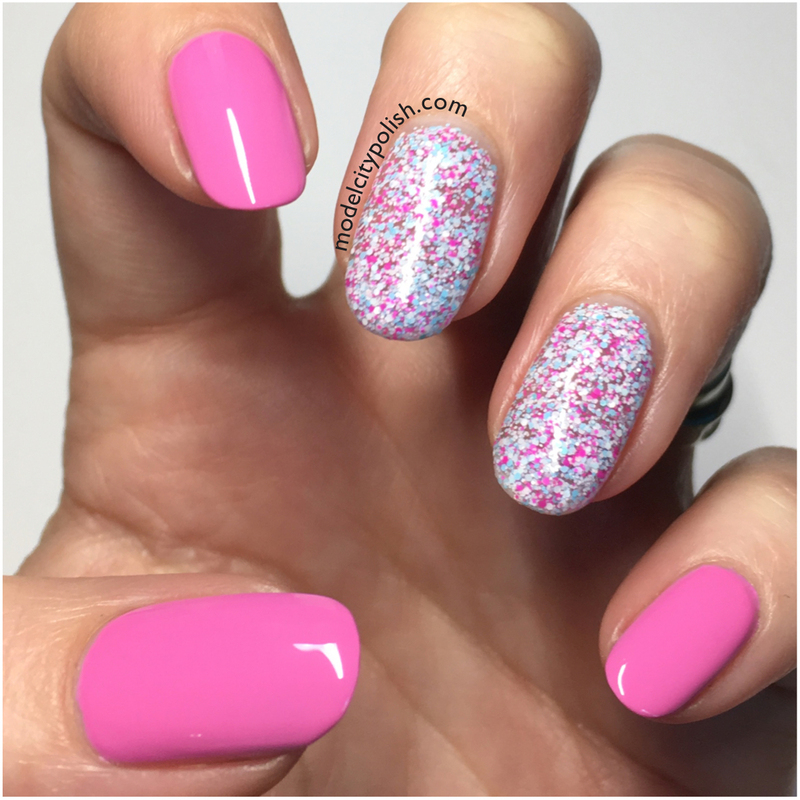 When I do my manicures, I NEVER think to do a few nails solid, and a few glitter. But it gives you such a fun manicure, I always love it when I see it one others. 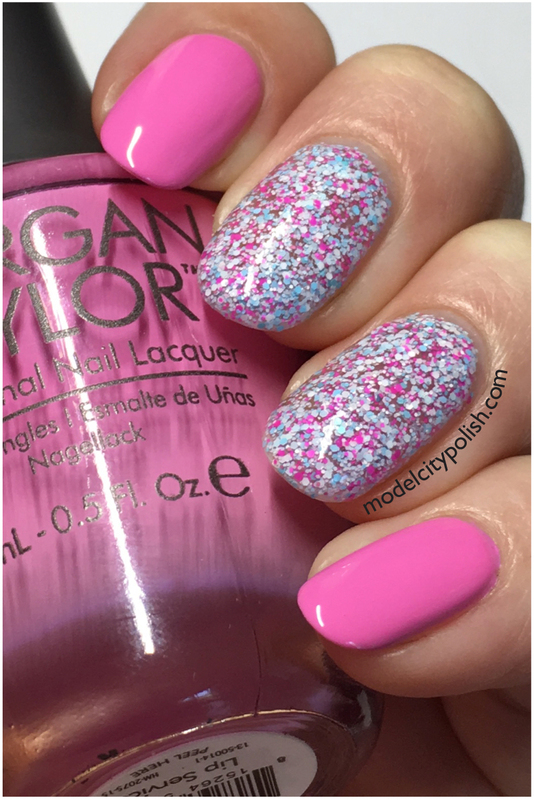 Someday soon I need to try it on MY nails, if I remember, haha!